So Lo La Deals is a new Daily Deal site which is launching in June. I can not wait to see all the fantastic deals that will be featured! NOTE: If you are a business owner and would like to have a deal featured, click here for more info! 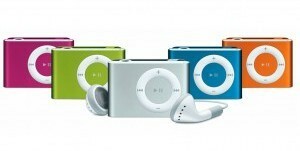 To celebrate the launch, they are giving away an iPod Shuffle! The giveaway starts 4/26 at 8pm EST and ends 5/3/12 at 8pm EST. A big thank you to our hosts, Saving and More & Debt Free Spending. GOOD LUCK! NOTE! If the Rafflecopter isn't letting you do any entries, log out of it and then log in using your name and email instead of Facebook. My daughter loves listening to Selena Gomez so it would be her songs that would go on to the iPod Shuffle first. I love listening to Billy Joel songs so it would go on to the iPod Shuffle first. Down in the Valley by the Head and the Heart..favorite song right now. I would put a song by Selah, You are my strength. I would probably be giving it to my daughter; but, if not, I might choose "Courageous" by Casting Crowns. anything southern gospel, especially the Crabb Family! It's good that they chose the product. You can have fun winning the device.